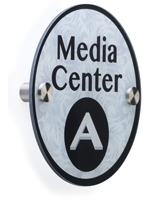 Media Size: 10" x 4"
5" x 8" 6" x 6"
Present a modern and professional appearance around your interior office with this custom 10 x 4 oval door sign with standoffs. 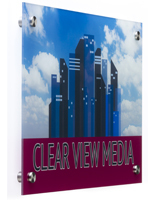 Complete with mounting hardware, each signage solution is ready for hanging on walls right away. 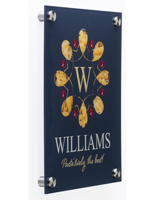 The UV printed 10 x 4 oval door sign with standoffs comes with downloadable templates that will showcase your own design. 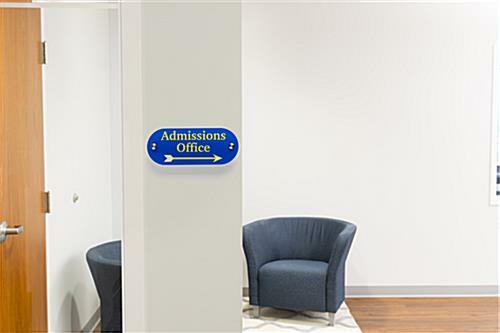 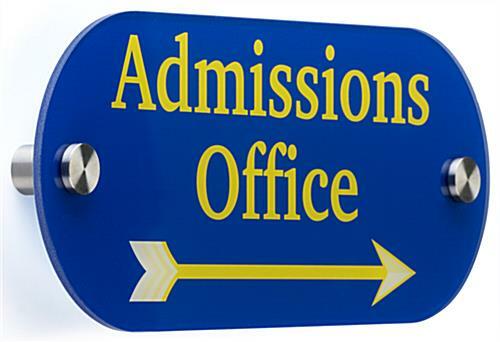 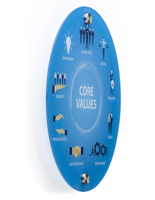 Hardware mounted signage systems such as this are great for wayfinding in interior offices, building lobbies, and campuses. 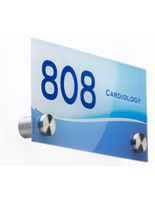 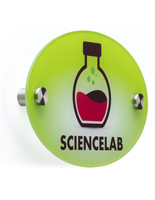 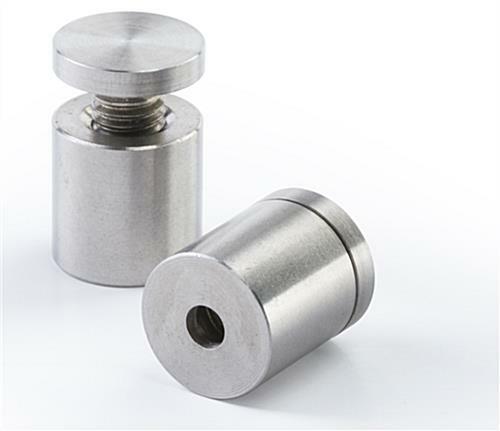 Each oval door sign with standoffs can have the design printed in any colors with images and text. 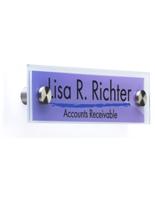 Upgrade the appearance of your establishment with this modern name plate. 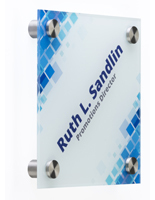 10.0" x 4.0" x 1.0"